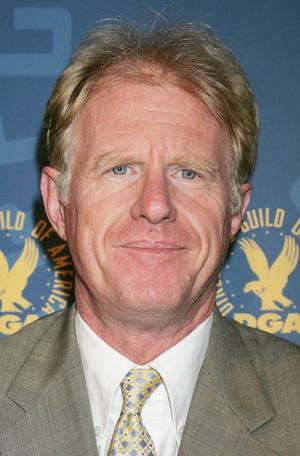 Tall and blond with a handsome craggy face, Ed Begley Jr. became a star for his convincing portrayal of the obsequious, socially awkward Dr. Erlich on the acclaimed television series St. Elsewhere (1982-1988). He is the son of distinguished radio, television, and screen actor Ed Begley and made his acting debut at age 17 in an episode of My Three Sons. Later, he worked on the college and nightclub circuit as a standup comedian and then was a TV cameraman for a short while. During the '70s, Begley returned to acting and guest starred on several series, including Happy Days and Starsky and Hutch. In film, he made his debut in the Disney comedy Now You See Him, Now You Don't (1972), and went on to play small roles in a couple more Walt Disney comedies, including Super Dad (1973). By the mid-'70s, Begley was getting larger supporting roles in such films as Stay Hungry (1976) and Blue Collar (1978). For his work as Dr. Erlich on St. Elsewhere, Begley was nominated for an Emmy. Though he is steadily employed in Hollywood as a supporting actor and an occasional lead (as in Roseanne's unjustly panned film debut She-Devil where he played a spineless cheat of a husband) in television and feature films, and has displayed a broad range of talent that has allowed him to play anything from hippies to deadly villains in a variety of genres, Begley is still only a mid-range star. In the fall of 1997, Begley was scheduled to return to series television in the CBS sitcom Meego. When not acting, Begley is a tireless promoter of environmental causes; he actively practices what he preaches in accordance with his belief that if individuals begin conserving and find their own alternatives to petroleum power sources, they can force governments to begin sanctioning cleaner energy alternatives. He lives in a modest, energy-efficient two-bedroom home in the San Fernando Valley that stands out only because it is entirely powered by solar energy. He drives a VW rabbit he converted to electric power (most of which comes from his home) and also bicycles and takes the bus when necessary. A vegetarian, he grows much of his food at home and only buys recycled products. Begley has also served as the Environmental Affairs Commissioner for the City of Los Angeles and on the boards of the Santa Monica Mountains Conservancy, the Environmental Research Foundation, the Coalition for Clean Air, and the American Oceans Campaign.